Katy Gehred is completing her first year as a MA candidate in Women’s History at Sarah Lawrence. She is originally from Beavercreek, Ohio, and she graduated from Bowling Green State University. The following is a preview of Katy’s prospective MA thesis. 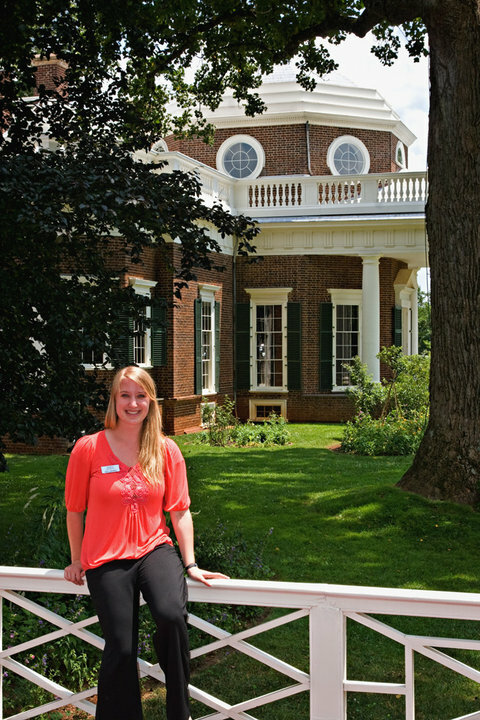 Katy in front of Monticello where she worked as a guide. Her experience there sparked her interest in all things TJ. After working as a tour guide at Thomas Jefferson’s Monticello for a year, I found myself more fascinated with the women in Jefferson’s life than TJ himself. Jefferson’s daughter Martha Jefferson Randolph rarely receives much space in Jefferson-centered works, however she is a fascinating individual in her own right. Jefferson Randolph was essentially the first lady during her father’s presidential terms, simultaneously managing both her father’s and her husband’s plantation homes, and raising her 11 children. Although she herself was critical of slavery, she was in a position of authority over about 200 slaves, many of whom were her direct blood relatives. Meanwhile, she had to deal with the fallout of her father’s scandalous relationship with Sally Hemings, an enslaved woman who had served as Martha’s personal maid in the past, and who also happened to be Martha’s aunt. I’m currently working on an essay that examines Martha’s position on slavery, and how her complex relationship with her enslaved servants and relatives changed over time. Jennifer Garvey is completing her first year as an MA candidate in Women’s History at Sarah Lawrence. Originally from Farmington, Conn., Jenn graduated from Pace University with a degree in Sociology, Anthropology, and Women’s Studies. The following is an introduction to her prospective thesis work on immigrant midwives in Manhattan at the turn of the century. 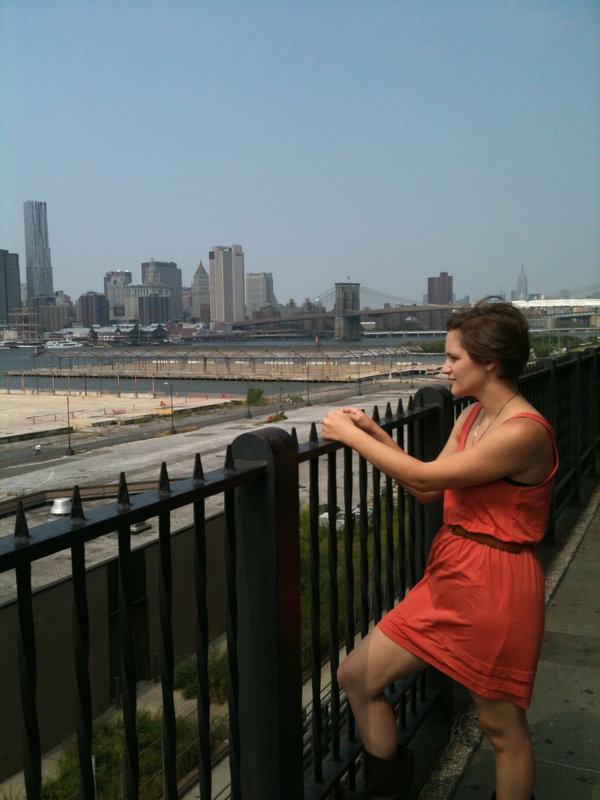 Jenn currently lives in New York, where she has studied and lived for 6 years. 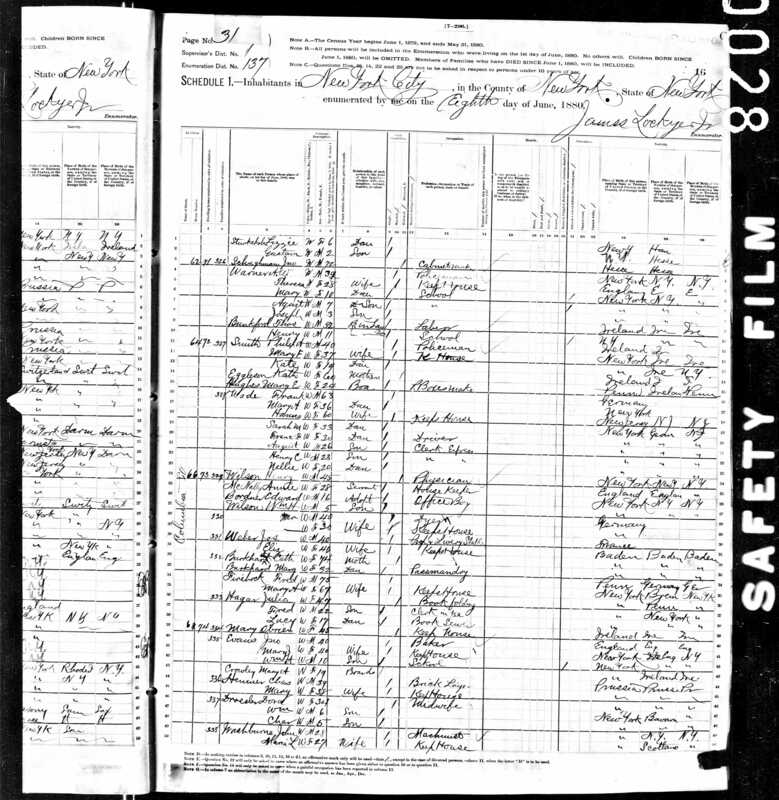 Once at the International Archives, I searched the 1880 census in its occupation field for “midwife.” Two hundred and six records turned up for women living in New York City who worked as midwives. Nearly all of the listings were immigrant women. They were from Prussia, Germany, Italy, Russia, Ireland, and the list goes on. There were only a handful who were native-born. Another similarity between these midwives is the fact that they were widows and claimed themselves as the “head of household,” leading me to conclude that many of them worked as midwives in order to support their families. In the middle of finding all of these women within the census record, Dora popped back into my mind. I went back to the beginning of the search and added “Dora” into the line for names. Three seconds later, there she was. Dora Droesler, born in Prussia. In the 1880 census she was 34 and had two sons; William aged 6 and Charles aged 5. Widow. Living in the 137th enumeration district, which was located within the Lower East Side. Dora will serve as a centerpiece to my thesis, which will paint a picture for what life was like for midwives in the Lower East Side in New York City from 1880-1920. Frieda Vizel is completing her first year in the Women’s History graduate program at Sarah Lawrence. Her personal experience with Hasidic Judaism has driven her interest in and historical inquiry of the subject. This is an excerpt from her historiographical essay on women in Hasidism. Frieda Vizel is completing her first year of the Women’s History grad program. “There are no women Hasidim […] There are only daughters of Hasidim and wives of Hasidim,” wrote sociologist Tamar El-Or in Educated and Ignorant, quoting from her interviews with Hasidic women of the Gerer Hasidic sect. A review of the history of the Hasidic mystical Jewish movement, a history that is well documented yet is so clearly missing the voices of women as leaders or as members, can lead one to wonder if it is true that there were no women in Hasidism. Until recently, the narrative of Jewish women’s lives in Europe was portrayed mostly from the perspective of immigrants from Europe to the United States, as part of the well researched subject of lives of Jewish women in the United States. Otherwise, the history of women in Eastern Europe is still in its infancy#. In the last twenty years, Historians have attempted to address the subject of Hasidic women in Eastern Europe by trying to understand the place of women in Hasidisim. Historians have debated if the movement improved women’s lives or further marginalized them, and to what degree. While we cannot generalize about the lives of Hasidic women of Central and Eastern Europe because these women were scattered over a vast geographical plane of Russia, Poland and Central Europe, and had unique cultures and flavors in each shtetl, city or Hasidic dynasty, some common threads do appear that seem to have been standard. Women in the Hasidic movement could not participate in the Rabbi’s hoyf (court). The Hasidic courts, as Jacob Katz first wrote in Tradition and Crisis in sentiments that were echoed by many subsequent scholars, weakened the family institution. Women were married at a very young age, often soon after puberty, in an arrangement the parents made with the family of the groom. Thereafter the tradition was general matrilocal and the new couple lived in the home of the wife’s parent’s for a period called kest. After that period expired the couple – by then usually with several children of their own – left the parents’ home. When the couple became independent the woman often shouldered a significant share of the economic responsibilities while the husband either studied Torah or focused on his religious life and Hasidism, in an arrangement called eshet hayil — although Moshe Rosean argued that women’s role as breadwinner was often equal to or subordinate to that of the men’s, that is, men too participated in business endeavors. However, while the role of men in the economic sphere can be argued, scholars agree that women were active in economic life. In the nineteenth and twentieth centuries, the trickling influences of the Jewish Enlightenment affected Hasidism and increased modernity, especially the lives of Hasidic women who attended schools and often had access to more literature. This too added to their ability to interact with the outside world and increased their participation in the economic and other materialistic spheres. 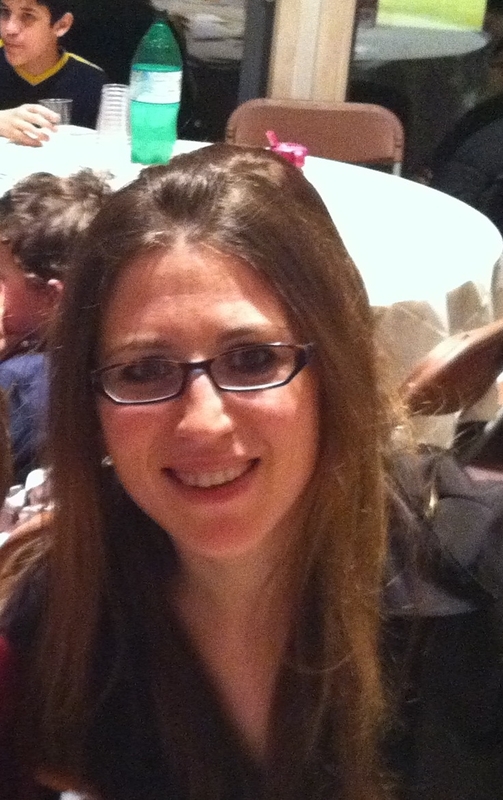 Kristy Staniszewski is completing her first year in the Women’s History graduate program at Sarah Lawrence College. She is also an employee of the college. This is an excerpt from her prospective thesis work on women and mental illness. Beginning in the 1930’s, lobotomies were considered a new and viable treatment for individuals suffering from mental illness. A lobotomy is a psychosurgical procedure where nerve fibers connecting the frontal lobe of the brain and the thalamus are severed. This was originally accomplished by drilling into a patients head, and later advanced to an easier method of inserting a steel rod resembling an ice-pick, under the eyelid and into the brain. In order to prepare a patient for such a lobotomy, electroconvulsive therapy (ECT) was first administered to the patient; strong electric currents that are passed through the brain to induce seizures and a coma. Due to the possibility of lobotomies resulting in no change, increased damage or fatality, the lobotomy was considered a last resort treatment for those suffering from mental illness. Barbara Kruger’s “No Radio” is a commentary on men’s medical/surgical control over women’s bodies. In the years 1936 – 1952, over 18,000 lobotomies in the US were performed alone. The advanced “ice-pick” method allowed physicians to perform the procedure in their private offices, without the need for additional surgical staff. Individuals admitted to mental hospitals were commonly recipients of this procedure, and often would first receive treatment before talking with a medical professional in the hospital. The decision to perform the procedure was made by the physician and a close relative, usually the patient’s spouse. Consent of the patient was not required. One of the central questions of my thesis is how a “last resort” procedure became a quick and popular treatment, and why a majority of these patients were women. Glorified procedure results of lobotomized patients were common newspaper articles and did not emphasize gender. Upon further examination of medical records and oral histories it becomes clear however, that the majority of patients who received lobotomies were women. I believe there is a connection between the ways in which the role of women changed before, during and after World War II, how that change affected their mental wellness and created behavioral changes that were perceived as abnormal in a patriarchal society. Brittany Chevalier is completing her first year as a MA candidate in Women’s History at Sarah Lawrence. She graduated from Wellesley College and has a special interest in the history of New York City. The following is excerpted from her review of the film, “Boys Don’t Cry,” directed by Kimberly Pierce. Boys Don’t Cry is Kimberly Pierce’s 1999 film based on a true story about Brandon Teena, a girl in rural Nebraska who wants to be a boy because she relates to the male identity. As a young female-to-male non-operative transgender man, she cuts her hair, bounds her breasts and uses a sock in her pants to give herself the look of a man. Through Brandon’s point of view the audience sees a different fantasy world opposed to the true gritty reality of Falls City, Nebraska, a city that “isn’t even on the map.” Although Brandon always seems to be optimistic about life and the reality around him, when Lana enters his world everything surrounding her existence becomes fantasy, as if the way Brandon sees her changes the whole perception of the film. In other scenes where Brandon is just “hanging out” with John and Tom, the perspective is seeped in the harsh reality of small-town middle America, unlike the scenes where Lana is present. Peirce uses different techniques of lighting and camera shots for thematic purposes that exude a tinge of “otherworldliness” to demonstrate that Lana is the true purveyor of fantasy in Brandon’s life.